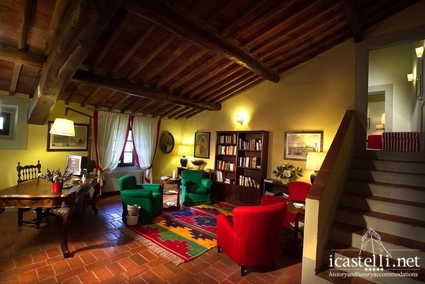 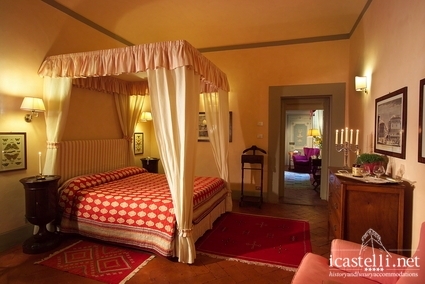 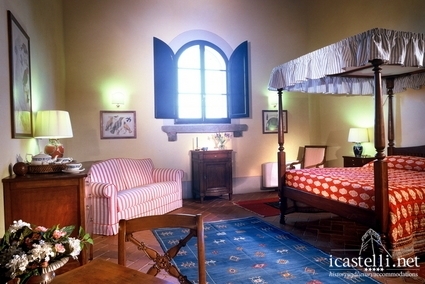 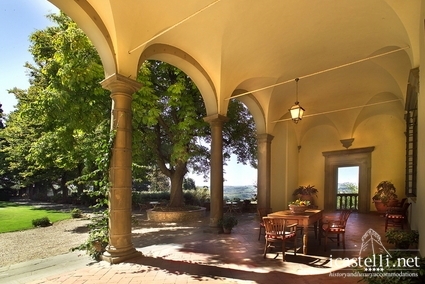 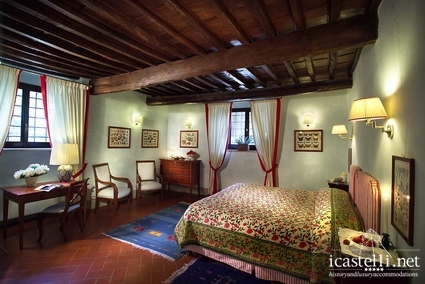 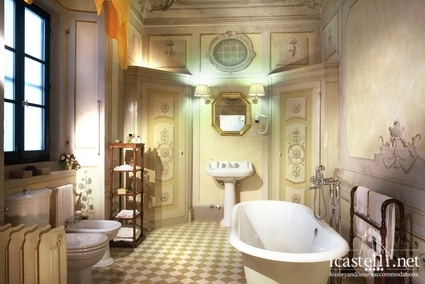 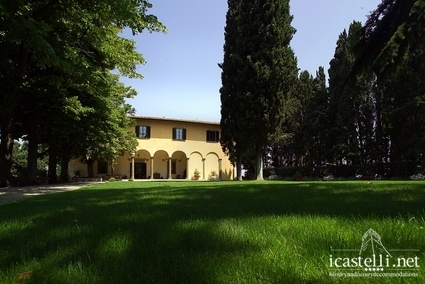 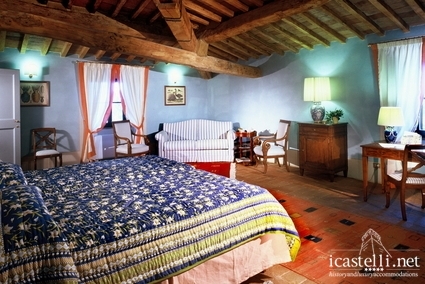 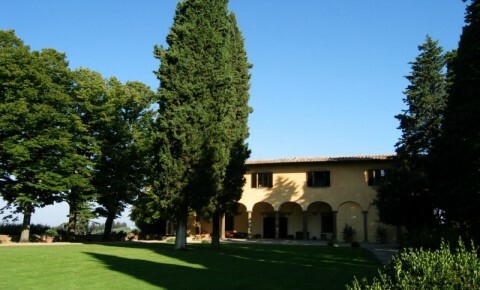 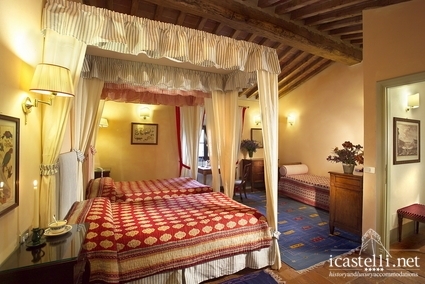 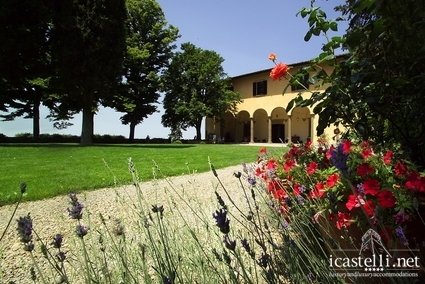 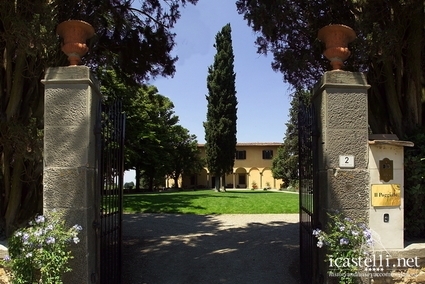 In the heart of Chianti, a few kilometres from Florence, Villa Il Poggiale is classified in the “Historic Residences” of Italy. 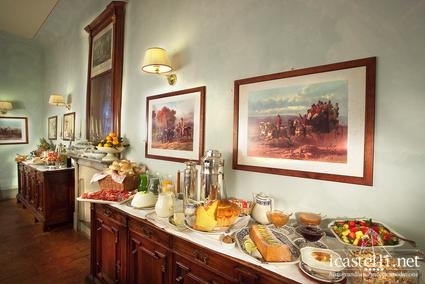 The beautiful renaissance residence has been completely renovated by the proprietors to offer the hospitality and atmosphere of a family house. 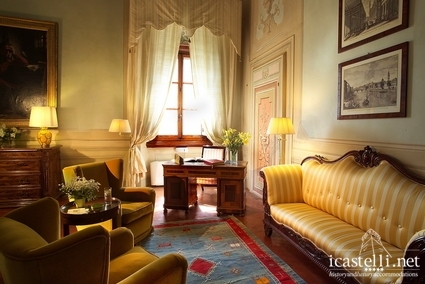 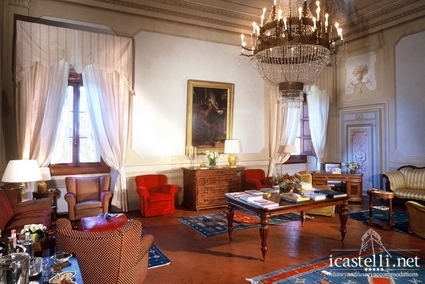 Large and luminous surroundings welcome guests: The great frescoed salon, the heart of the house, is full of comfortable armchairs and sofas; various other little lounges have quiet spaces for resting or reading. 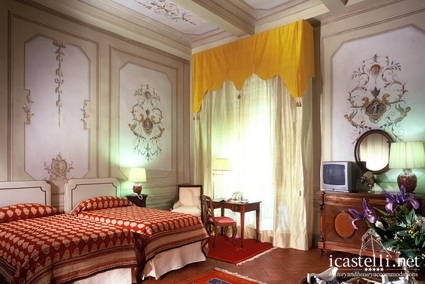 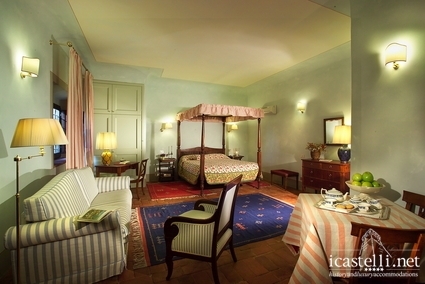 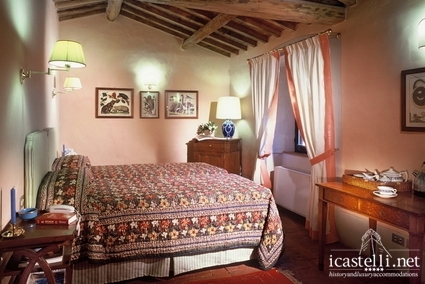 And the bedrooms and suites, each one spacious and different from the others, have walls painted with clays and natural pigments. 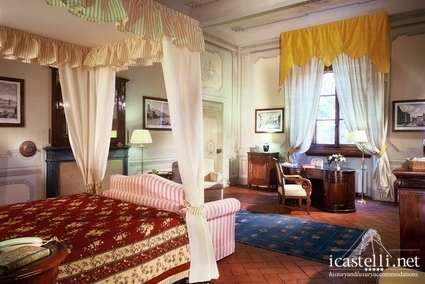 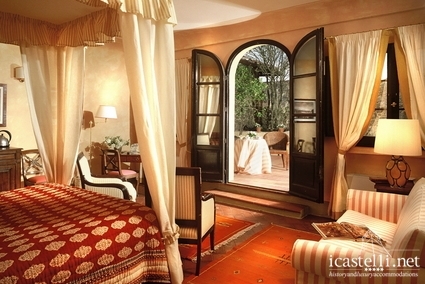 The fabrics of the curtains and canopy beds come from small craftsmen weavers; while oriental silks have been used in the salons and the first-floor rooms. 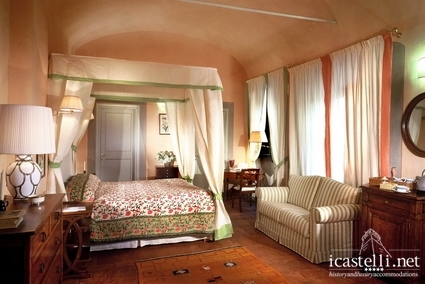 Sitting in the great renaissance open gallery, you can enjoy the view of the classic garden, surrounded by the perfume of antique roses and of other essences. 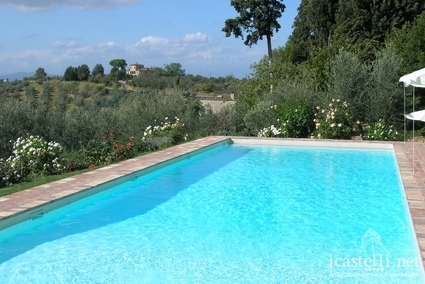 Sweet fragrances also emanate from the plants in the central courtyard with well, and in the gardens that surround the swimming pool. 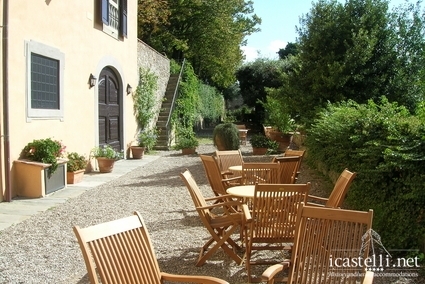 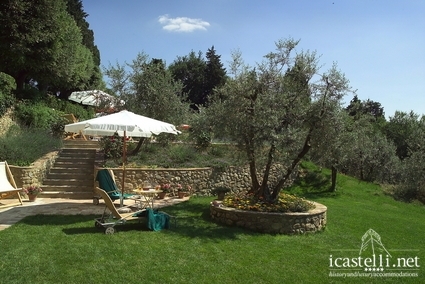 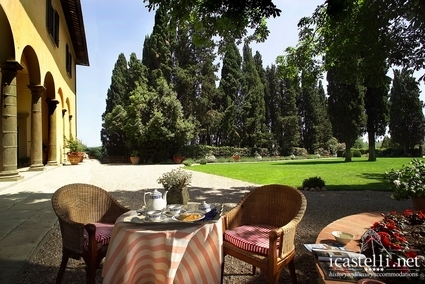 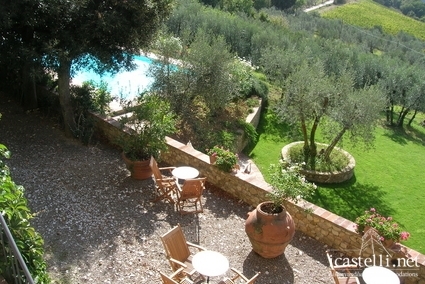 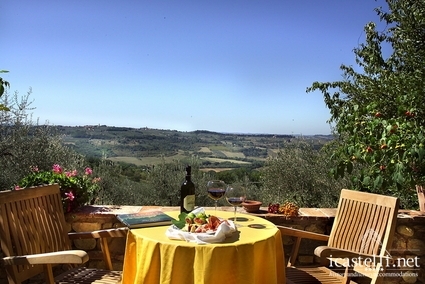 Those who sip a tea or work with their laptop computer (the park also has broadband Wireless Internet), can enjoy the lovely countryside of Val di Pesa (the Pesa Valley) – with olive groves and hills bordered by cypress trees in the background. 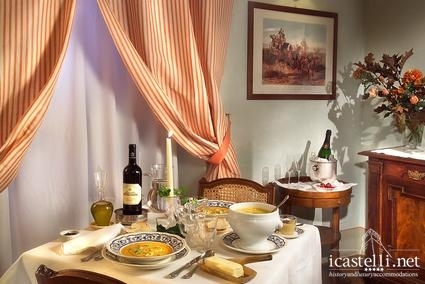 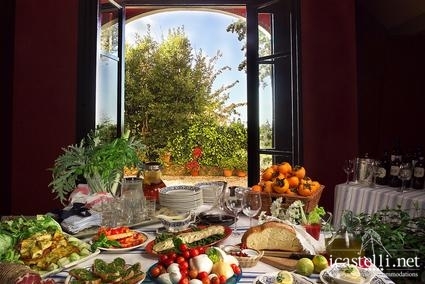 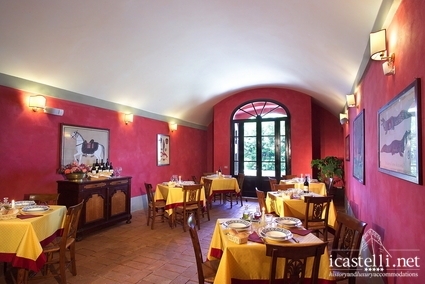 From April to October, guests can also have dinner in the villa. 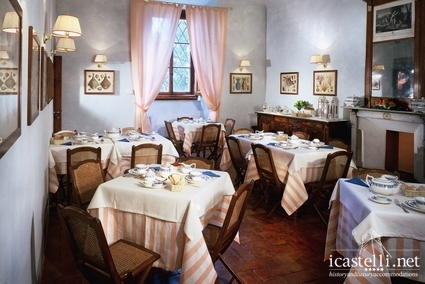 Hot dishes, salads and Tuscany buffet specialties are offered, in the simple yet refined style, which also characterizes the summer lunches offered during the open period of the swimming pool: on request, you can dine in the “Tinaia” (fermentation cellar), the old ‘orciaia’ (earthenware jar-making building) overlooking the swimming pool, savouring the farm’s own products and little Tuscan specialties.